I sponged a dark sky background, then coloured one of the little houses with Copics and added a little glitter for a snowy effect. I cut a couple of wavy snow drifts and added some more of the sparkly stuff and then used my extremely limited drawing skills to hand draw a little Christmas tree in what is meant to be a Paper Smooches kind of style! 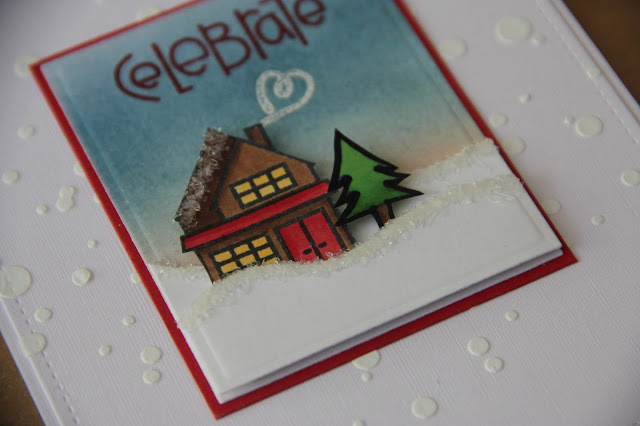 The snowy background has been created with a Winnie and Walter stencil and gesso. 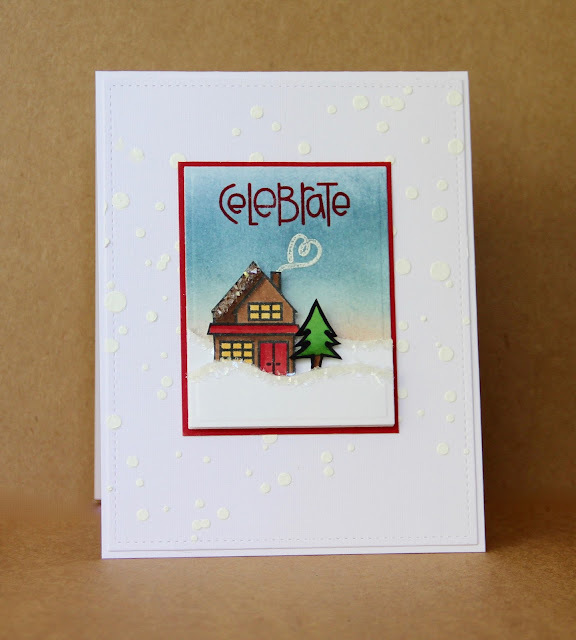 It doesn't matter how much glittery sparkle I use on a card, I never seem to be able to capture it in a photo - hopefully the close up does it more justice. A gorgeous little wintery scene Claire and thanks for playing along at ATCAS.